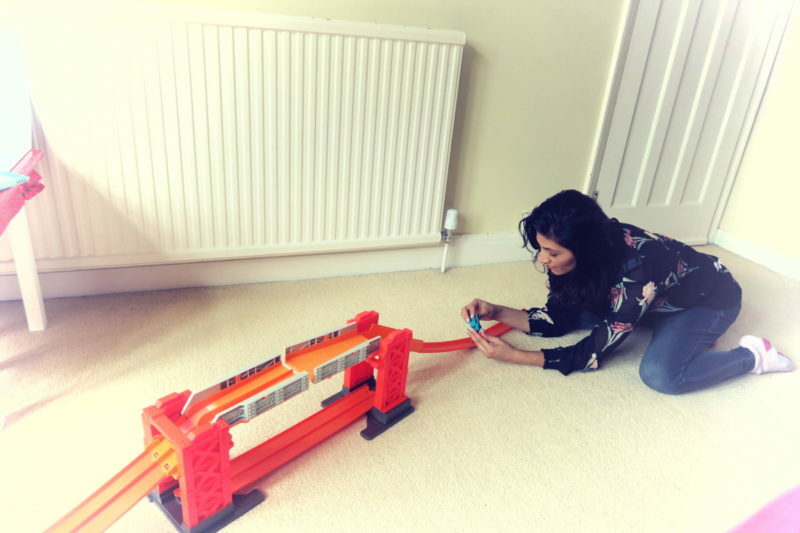 The new Hot Wheels Track Builder Stunt Bridge kit has been released just in time for Christmas and as usual the Hot Wheels fans at Along Came Jay HQ were eager to review. 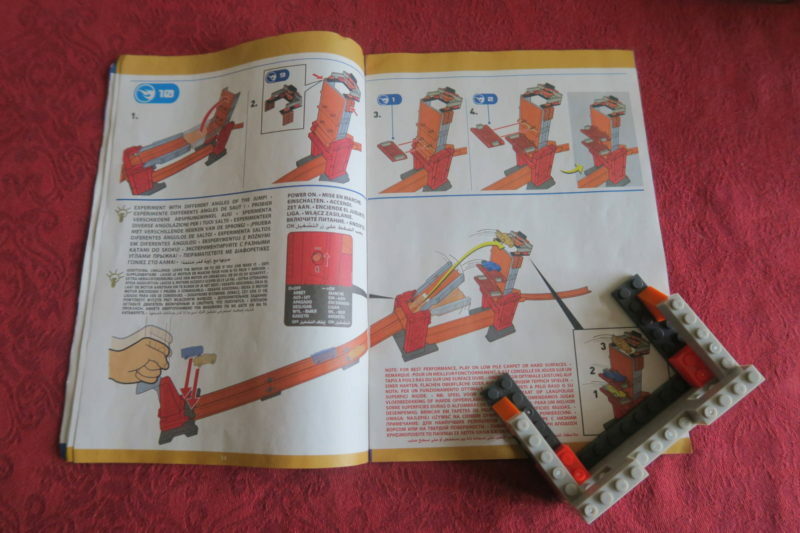 Although the actual track and bridge sections are straightforward, this set has a number of bricks that look like lego pieces that does require a bit of concentration to put together. Luckily Jay had mummy to help and we went through the contents of the box and were soon set up and ready. 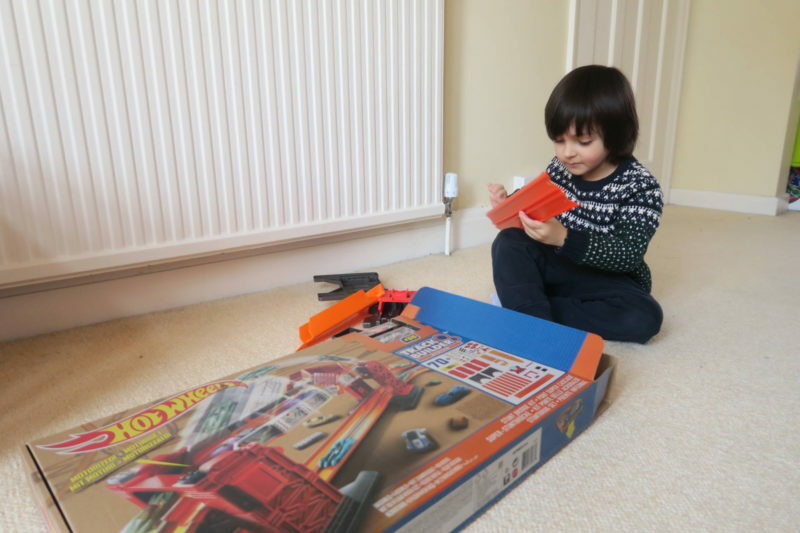 Unlike the Hot Wheels Roto Revolution which we recently reviewed this set does take up a lot of floor space when fully assembled with over 70 pieces it can be customised to be built in three different ways and we were able to change the configuration easily. 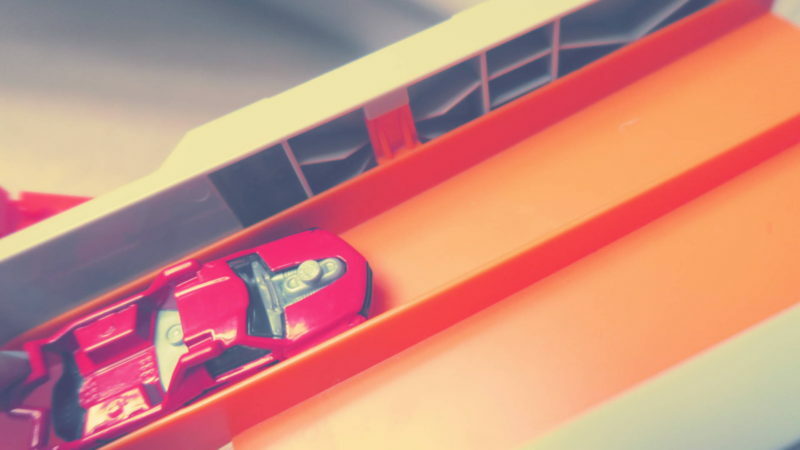 It’s fully compatible with other Hot Wheels play sets so it has been great to add to the existing track and add another level of excitement. Two ‘D’ size batteries and a cross-hair screwdriver is required for the motorised bridge to come alive. To launch the cars you have to hit the lever at the start of the track. 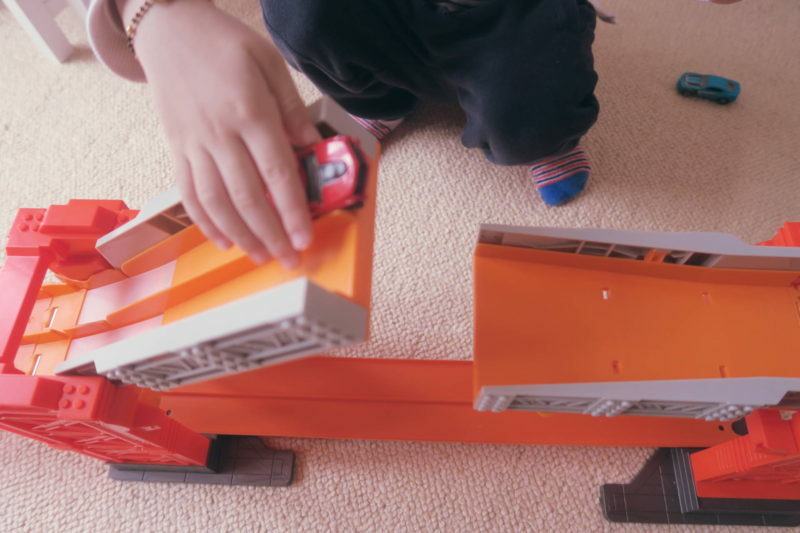 I noticed that you do have to hit this lever quite hard for the cars to gain enough speed to crosse the bridge but this also brings in an element of competitive fun. I think this toy definitely gets you to focus on timing skills. 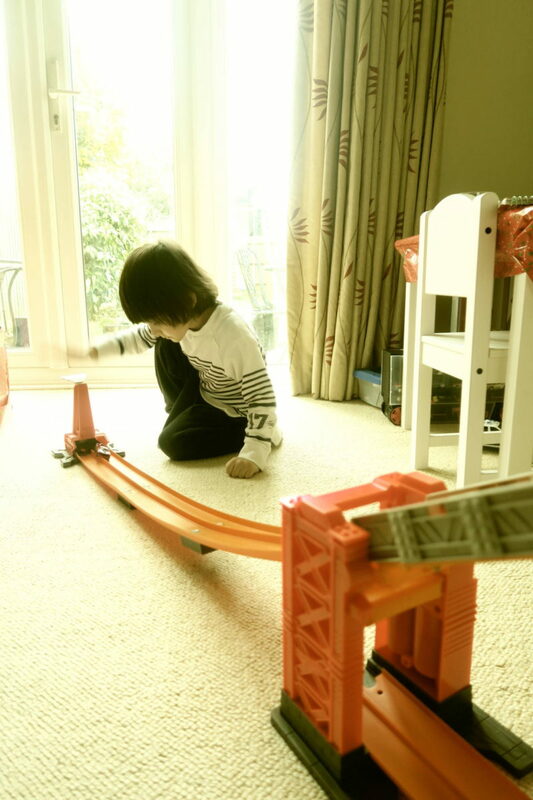 Jay’s favourite part of the toy is the motorised bridge arm which forms part of the half bridge that rises up. 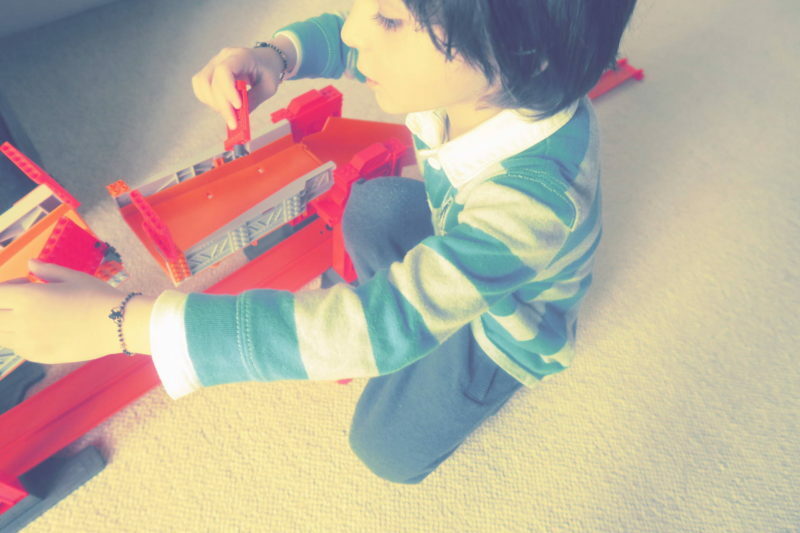 Construction is something he is really enjoying at the moment and the bricks that come with the set has been a welcome addition as he enjoys adding them to the bridge creating mini blockades and seeing whether he can successfully get the car across without crashing into them. There are additional cardboard cut out mini trolls for imaginative play which can be placed around the track. As I write this post Jay is lining up a number of cars to launch and I’m certain this set will keep him entertained for quite a while. My only negative is that I feel this set should possible have two cars instead of the one. It wasn’t that much of a problem as we were able to use existing hot wheels cars from his growing collection! 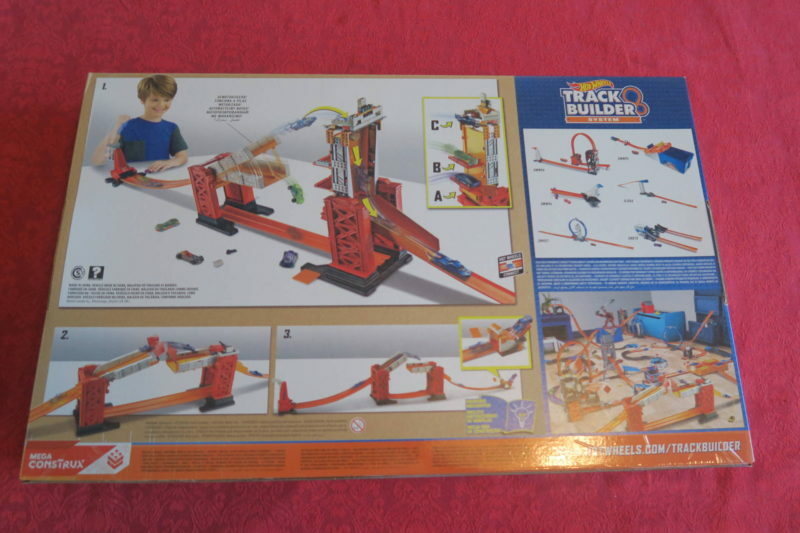 The Hot Wheels Track Builder Stunt Bridge Kit is newly launched and would make a great gift this Christmas. 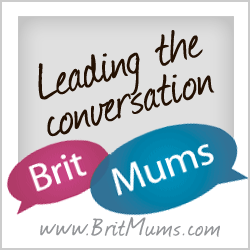 It’s suitable for ages 5 and over and priced at £49.99. 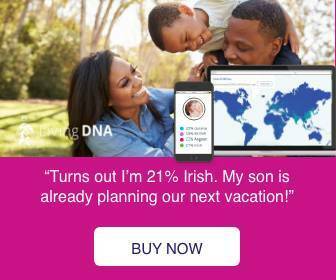 It is available from all good toy shops. 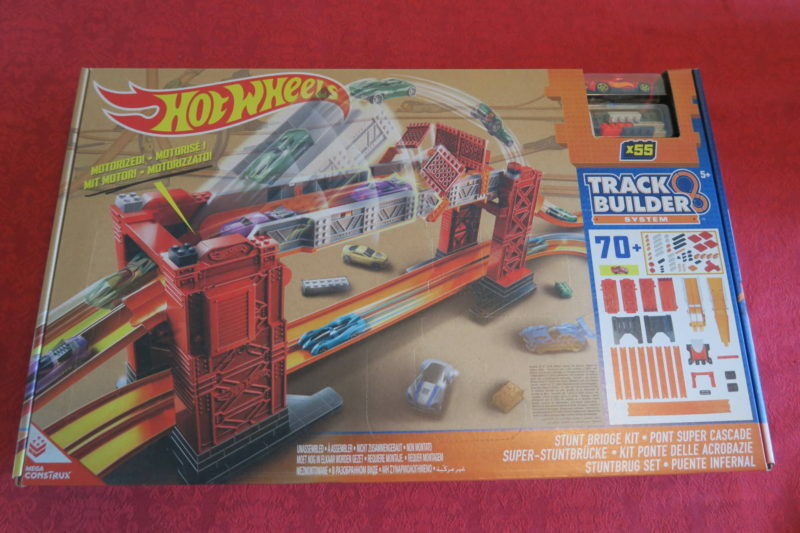 Another great play set for hot wheels fans young and old!